When I was in college, my mom, who I owe my skincare obsession to, handed me a bottle of Josie Maran Argan Oil and said "put 3-4 drops of this on your face before bed every night and you'll look young forever!!" I looked at her like she was crazy. Why the hell would I put oil on my face? Sure, I want to look young for as long as possible, but I wasn't really into looking like a greasy pimply teenager. After finally giving in, I tried it, loved it, and I am pleased to tell you I never broke out and while many women my age are already testing out Botox, I've been lucky enough to not need it...yet! THANKS MOM!!! Since then I've used probably any kind of oil, lotion, and fancy cream you can think of. Oils still win as my favorite form of hydration and after finally researching and learning what I've been putting on my face all of these years, the good and the ugly, I am here to share why you too should consider using oils! Yes, even you ladies with oily blemish prone skin!! First, let's talk about creams. Creams are mostly wax and water with very few oils. Creams work initially, however the wax build up eventually clogs your pores and the wax barricade prevents the few oils the product does contain from penetrating into your skin, hence preventing the delivery of important nutrients. That is why, after time, our creams stop working. Now, let's talk about OILS! The good oils come from plants, seeds, or fruits, and are packed with antioxidants without exposure to chemicals and toxins. Oils deliver healthier, youthful looking skin. How? Well, youthful skin is held together by an abundance of oils. As we age, we produce less of these oils that contribute to giving us that healthy glow, soooo, we have to add them back! 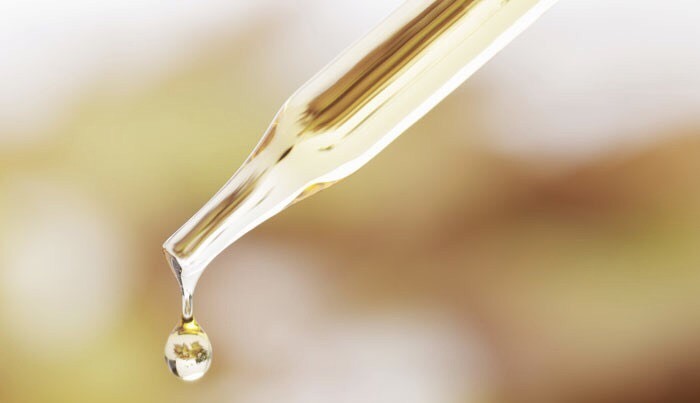 Oils are absorbed directly into the top of the skin where they instantly improve the lipid barrier function. A healthy lipid barrier prevents dehydrating by helping skin retain moisture! Oils work amazing on all parts of the body and absorb very easily. You can get multiple uses out of one little bottle! I usually sleep with oil in my hair too or I will oil up my hair and wear it all day in a bun. Most oils have low potential to clog your pores since they are easily absorbed, not greasy, and non-comedogenic. FOR MY OILY SKIN LADIES: Oils are rich in fatty acids. Fatty acids reduce breakouts by stabilizing the lipid barrier. Stabilizing the lipid barrier kills any bacteria or fungus on the skin's surface. Lipids dissolve lipids, and because of this, oils actually break up congestion at the source. Did I lose you there? Because I think I lost myself too! Jk, No but seriously...OILS ARE NOT BAD FOR YOU! THEY HELP YOU! However, please be cautious of how often you apply. If you are oily, you should only apply once a day (I recommend at night). You should also consider the ingredients in the oil, educate yourself on what each ingredient offers, and make sure they are right for you. Just like not all creams are bad, not all oils are good! ALWAYS avoid MINERAL OILS! Mineral oils are a processed petroleum product. Mineral oil may be contaminated with toxins, it definitely clogs pores, and it has nothing beneficial to offer your skin. AKA...just stay out of the Bath & Body works store! I've noticed that women in general have this misconception that our skincare and makeup require long lists of ingredients ( usually words we can't pronounce ) and fancy packaging, and can't possibly make us look younger if the jar costs less than $250. In reality, an inexpensive jar of coconut oil or almond oil works just as well if not better and you will not go broke in your local department store! As always, I hope my posts are informative and educational for you! Whatever products you choose to use in your routine, please always make sure they are non toxic, organic, and not tested on animals in any stage of development! If a product has burned holes into a baby pig, I personally do not want that on my face...agreed? ?